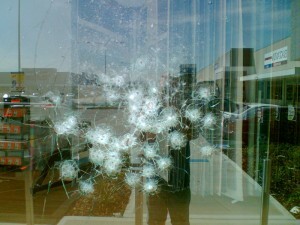 How can window film make your Florida business safer? Simple: by making your windows stronger. The weakest, least secure part of any building is always the windows. Just as they are designed to let in light and fresh air, they can also let in unwanted visitors in the form of thieves or vandals. 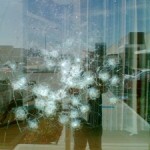 Windows also offer little safety during storms (or even hurricanes) or during times of civil unrest. You want to keep your business safe, with your employees and visitors protected and your property secure – that is always the responsible business owner’s main priority. But you want your business to look welcoming and inviting without ugly security bars or grates put up over all the windows. 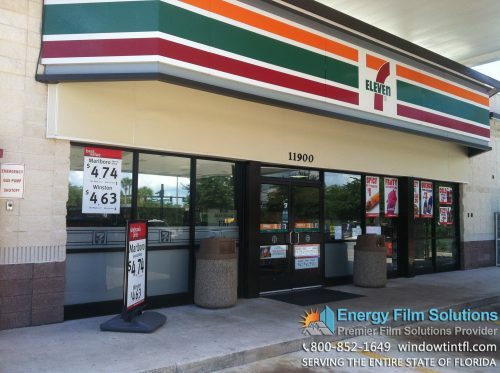 Instead of blocking off your business’s windows, make them shatter-resistant and virtually impenetrable using high quality security window films from Energy Film Solutions, the leading provider of Florida security window film! We work with businesses of all types and sizes all up and down the state of Florida, and we would love to make your business the next property made more safer and sound thanks to our Huper Optik security window films. Whether you own a store with large plate glass display windows or you manage an entire office complex with dozens of windows of myriad shapes, types, and sizes, we are glad to take on the job! We are the leading Florida security window film installation experts because we always put our client’s needs ahead of profits, and because we customize each and every job to meet those needs. No job is too small for us to take seriously and no commercial window film installation job is too large for us to gladly take on! A car’s windshield resists shattering thanks to a layer of laminate spread evenly across the surface of the glass; even when violently struck by heavy objects, a windshield won’t break apart – though indeed it may crack, no pieces will fly away from the sheet of glass. The windows of your Florida business can be made just as strong as that using security window films. These films are layered over the glass of your windows and, once properly bonded to the glass, they will ensure that even when struck with a brick or a crowbar, or when smashed by objects hurled by the gale-force winds unfortunately so frequent in our state, your windows will remain in one piece. Once your windows are coated with security window film installed by the professionals from Energy Film Solutions, they will be virtually impregnable. Because windows treated with security films won’t shatter when struck, even the most determined burglar will likely give up and flee before successfully breaking and entering – the entire pane of glass would need to be knocked from its frame before your window would offer an entry point, because even the cracked glass will together as one solid mass. 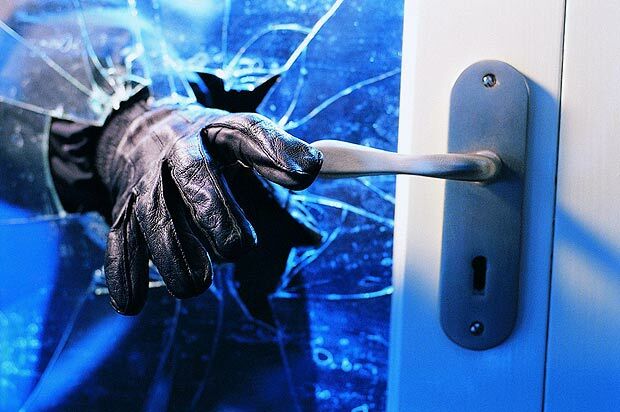 A thief may be able to ruin the view through your windows and damage some of the aesthetic appeal of your business, but they won’t be able to break through them and into your business. And windows can be replaced; your valuable property, or the wellbeing of your employees and clients, well… those are harder to repair than windows. A shattered window can create a serious safety hazard for anyone unlucky enough to be nearby when it happens, or to happen into the area littered with jagged glass after the fact. Security window films can stop dangerous shards of glass from flying into the air and keeps them from cracking away from the pane and falling to the floor by binding your windows into solidly resilient panels. Even in the dramatic event of an industrial accident, an attempted break-in, or a storm, your windows might be struck from outside, but no glass will go flying around inside.